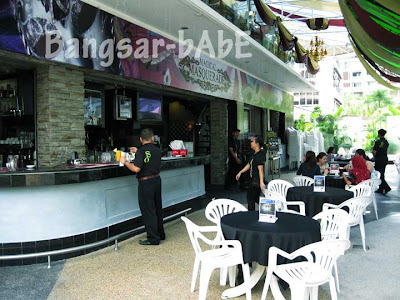 Not too long ago (it was a Selangor public holiday), rif and I went to Souled Out for lunch. 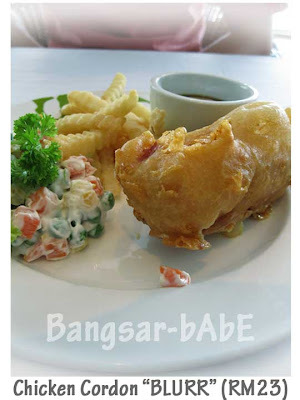 After scanning through the menu, rif ordered the Chicken Cordon “BLURR” while I had the curry laksa. Our food didn’t take very long to arrive; we only waited for 15 minutes. The chicken was as delicious as it looks. “Bone-less whole chicken leg wrapped around sausage, cheese & chicken ham with cold vegetables on mayo and golden crinkle cuts”. 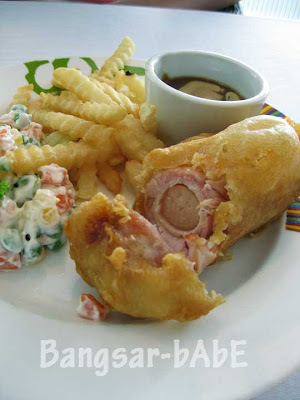 With its light and crispy batter, the juicy chicken with cheese, ham and sausage combo was not bad. I liked the mushroom sauce, and kept sneaking fries from rif to dip into it! My curry laksa was quite a generous portion. “Thick curry gravy with chicken, bean curd, egg, fresh cockles and bean sprouts”. I asked for kway teow, which was lovely with the thick, creamy and spicy curry gravy. The chicken was well infused with curry flavour, and the cockles were fresh and juicy. I enjoyed every mouthful. Lunch cost RM 42.55 inclusive of 5% tax and 10% service charge. 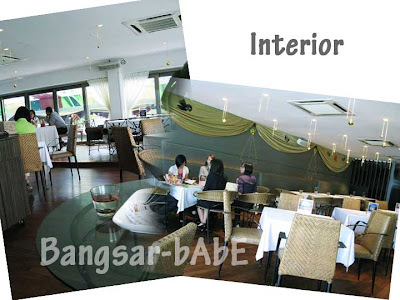 Though slightly on the high side, the portions and ambiance made it worthwhile. Service was surprisingly good, so if they keep it up, I don’t mind coming here again. Verdict: Nice ambiance, good food & attentive service.